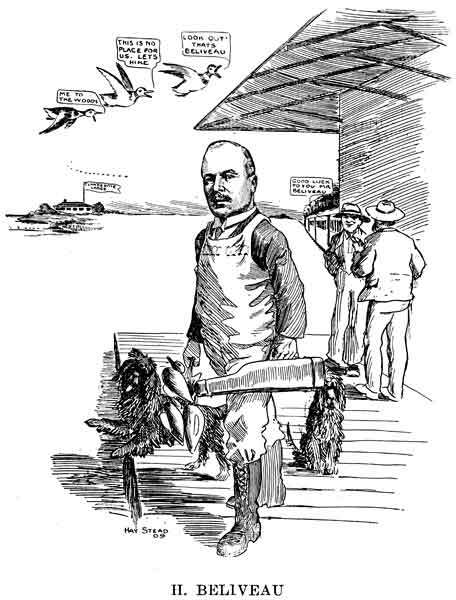 Around 1905, boosters of Winnipeg’s aspirations to become Canada’s next great city must have been incensed when the little book Canadians As We See ‘Em: Caricatures, Pen Portraits, Cartoons was published. Despite the title, the vast majority of its subjects lived in Ontario. Not a single Manitoban was in it! So it was perhaps not coincidental when another little book appeared, a rebuttal entitled Manitobans As We See ‘Em: 1908 and 1909, that featured cartoon-like illustrations of over 200 local citizens. Manitobans As We See ‘Em speaks volumes about who was perceived as noteworthy in 1909—it was hardly a representative cross-section of Manitoba. Every one of those featured was male, the vast majority were of Anglo-Saxon origin (judging from their surnames), and most were businessmen of some description. I have found nothing to indicate how they were selected. Was it a vanity publication or were they selected as a sample of current newsmakers? It seems clear the publishers assumed readers (viewers?) would recognize the subjects readily, as each caricature was accompanied only by a name. Virtually all of them are anonymous to the average Manitoban today. Through the years, illustrations from the book have been widely re-published (most recently, in Randy Rostecki’s book on the Armstrong’s Point neighborhood), partly because they are amusingly drawn but also because no other images exist for some subjects. Therefore, to commemorate the book’s centenary, and to learn more about the lives and times portrayed in it, I resolved to rescue Manitobans As We See ‘Em from obscurity by researching and writing biographical sketches for as many of its subjects as possible. A small collection of those biographies follows, with the rest on the MHS website. Like it or not, these men were the “movers and shakers” of their time, which provides a basis for comparison with our own society. If a Manitobans As We See ’Em: 2010 was to be compiled, it would undoubtedly be more broadly representative, including much more than a band of “rich white guys.” That, it seems to me, is one of the true values of history: to remind us where we have made mistakes so we can avoid them in the future. This will be an ongoing project because, despite my best efforts, some of the subjects remain obscure. I encourage visitors to the MHS website with details about any of the subjects in Manitobans As We See ‘Em to contact me (webmaster@mhs.mb.ca), especially about those for whom I can report only a big question mark. Born at Englishtown, Cape Breton, Nova Scotia on 2 June 1881, he moved with his mother and sister to Glace Bay after the death of his father. After graduating from high school, he worked in the offices of the Dominion Coal Company, later being transferred to its office in Boston, Massachusetts. There he appears to have developed a talent for drawing. 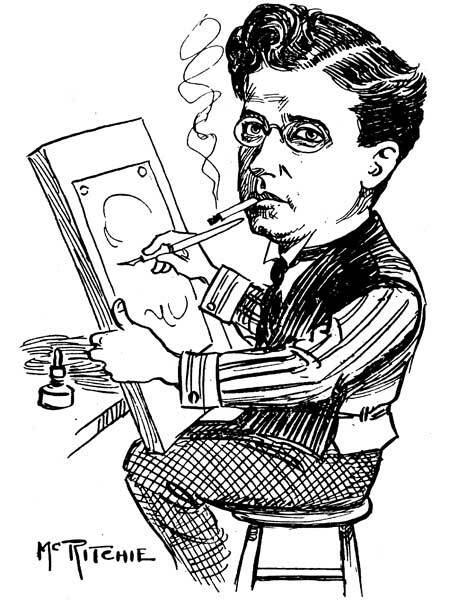 Returning to Cape Breton by 1904, he began producing cartoons for the Sydney Daily Post. 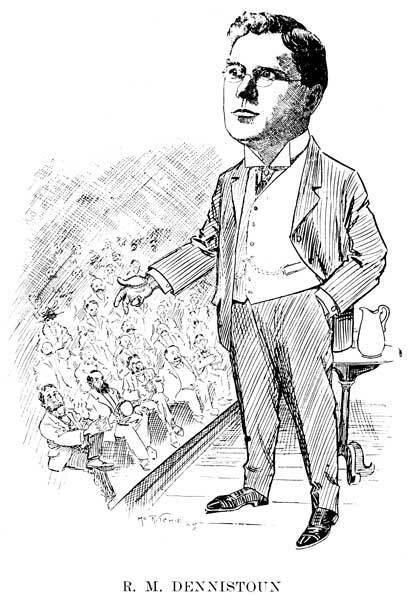 By the spring of 1905, he was living in Ottawa and drawing for the Ottawa Journal. Moving west, he stopped briefly at Port Arthur, Ontario before arriving in Winnipeg in the fall of 1906. He was probably working as a freelance artist through 1911, having art work published in the Winnipeg Telegram and Calgary Eye Opener, and may have also tried ranching in Alberta. In 1911, he moved to Montreal as Advertising Manager for a real estate company while continuing to do artwork on the side. After returning from military service overseas, he found work at the Halifax Herald, where he was political cartoonist and manager of the engraving department, and after 1931, library supervisor. After retirement from the Herald in 1937, he returned briefly to real estate work at Toronto before coming back to Halifax to administer the federal government’s telephone censorship policy during the Second World War. He died at Halifax, after a lengthy illness, on 29 November 1948 and was buried in Camp Hill Cemetery. Born at Hamilton, Ontario on 13 November 1875, he was educated at Albert College (Belleville). He was first employed with the Hamilton Loan Company. He came to Winnipeg in 1896 and, in 1903, the Great West Permanent Loan Company was organized with him as President and General Manager. He was also Manager of the Imperial Canadian Trust Company, Managing Director of the Canadian National Fire Insurance Company, and General Manager of the Marlborough Hotel. 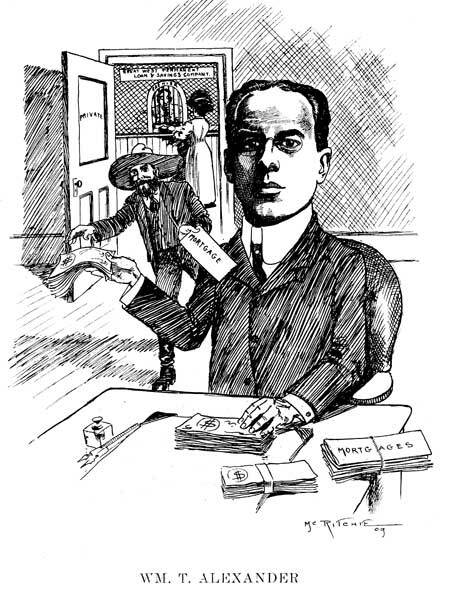 In the Fall of 1927, the Great West Permanent Loan Company and the Imperial Canadian Trust Company went into liquidation and charges were laid against Alexander and his brother, F. H. Alexander, that they conspired to defraud the companies. After one of the longest court cases in Manitoba history to that time, both men were found guilty and W. T. Alexander was sentenced to three years in Stony Mountain Penitentiary. For the last ten years of his life, he lived at the Marlborough Hotel. He died at the Winnipeg General Hospital on 5 January 1943 and was buried at Stonewall. Born at Halifax, Nova Scotia on 14 December 1875, he arrived in Winnipeg in 1882 where he was educated at public and private schools. In 1890, he entered the office of the Western Canada Loan Company. A decade later, he was admitted to partnership in the real estate firm of Nares & Robinson. 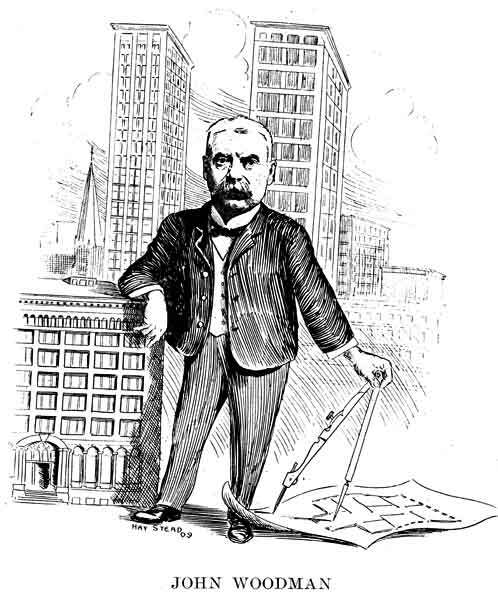 By 1911, Black was a partner in the real estate and insurance firm of Robinson & Black, later known as Black & Armstrong, of which he was President at the time of his death. He was one of the founders of the Winnipeg Real Estate Board in 1903, being made a life member in 1953. He was also President of Western Dominion Investment Company, Vice-President of the Manitoba Cold Storage Company, Canadian director of Phoenix Assurance Company of London, and a Director of the Canadian Pratt and Whitney Aircraft Company and Combustion Engineering Corporation. In 1924 he acquired the Winnipeg brewery founded in 1887 by E. L. Drewry and formed a new company known as Drewrys Limited. For 28 years he was President of Western Breweries Limited and its subsidiary companies. In 1901, he married Gertrude Maxwell Moffat. They had two children: Montegu Margaret Black (born 1905) and George Montegu Black (1910-1976; father of entrepreneur Conrad Black). He was a member of the Manitoba Club, Carleton Club, Pine Ridge Golf Club, Motor Country Club, Manitoba Jockey Club, St. Charles Country Club, Mount Royal Club (Montreal), and Assiniboia Club (Regina). He was a life member of the Winnipeg General Hospital Board and a Director of the Manitoba Division of the Navy League of Canada. He died at his Winnipeg home, 59 Wilmot Place, on 5 July 1959 and was buried in St. John’s Cemetery. Born at Peterborough, Ontario on 24 December 1864, one of twelve children born to James Frederick Dennistoun and Katherine Adele Kirkpatrick, he graduated from Queen’s University (Kingston) in 1885. He articled at Toronto then was called to Ontario Bar in 1888, commencing a legal practice at Peterborough that year. He came to Winnipeg in 1907 as western counsel for the Canadian Bank of Commerce. Eventually, he specialized in corporate law as a partner in the firm of Machray, Sharpe & Dennistoun. (His prominent law partner, John Machray, would later be discovered to have stolen millions from investments in his care, and died disgraced in Stony Mountain Penitentiary, while Dennistoun was found blameless in the affair.) Dennistoun drew up the first Workmen’s Compensation Act for Manitoba and was a Bencher for the Law Society of Manitoba. He was made a King’s Counsel in 1910. Appointed a judge on the Manitoba Court of Appeal in 1918, he took his seat a year later on return from active military service during the First World War, stepping down from the Bench in 1946. He was a member of the Masons, Manitoba Club, St. Charles Country Club, and All Saints Anglican Church. He served as President of the Canadian Club of Winnipeg (1924-1925) and Commodore of the Royal Lake of the Woods Yacht Club. In 1921, he joined the first Advisory Board of the Winnipeg Foundation formed that year. He died at Winnipeg on 10 October 1952. His former home on Roslyn Road, a designated historic building, was delisted in 2009 so it could be demolished to make way for a condominium. Born at Oshawa, Ontario on 5 October 1861, he came to Winnipeg in 1880 with a survey crew of the Canadian Pacific Railway. He remained with the company, in its engineering department, rising to the rank of Chief Engineer for the Western Division, from which post he retired in 1901. At that time he entered private practice as an architect, retiring in 1927. He designed and built many of downtown Winnipeg’s largest buildings, including the Eaton’s, department store (now demolished) at 320 Portage Avenue (1904-1906), the Somerset Building at 294 Portage Avenue (1906), Breadalbane Apartments at 379 Hargrave Street (1909), and the old Free Press Building at 300 Carlton Street (1912). He was a member of the Manitoba Club, the St. Charles Country Club, and the Anglican Church. He died at his home on River Avenue on 17 May 1944 and was buried in St. John’s Cemetery. Born at Peel County, Ontario on 4 February 1854, he received a common education while helping his father farm and then took a course at the Toronto Commercial College. At the age of seventeen he found work as a travelling salesman for a manufacturer at Brampton. In 1882, he joined the exodus of ambitious young men who saw opportunity on the Canadian frontier, arriving in Winnipeg as general agent for the Massey Manufacturing Company, which made farm equipment. He represented the firm for four years in Manitoba and the North-West Territories, later moving to Calgary as company manager. While there, he organized the Calgary Exposition and Turf Association and served a term on the Calgary city council. Returning to Winnipeg in 1892, he started the firm Ross & Maw to selling carriages, buying out his partner four years later and renaming the firm Joseph Maw and Company. 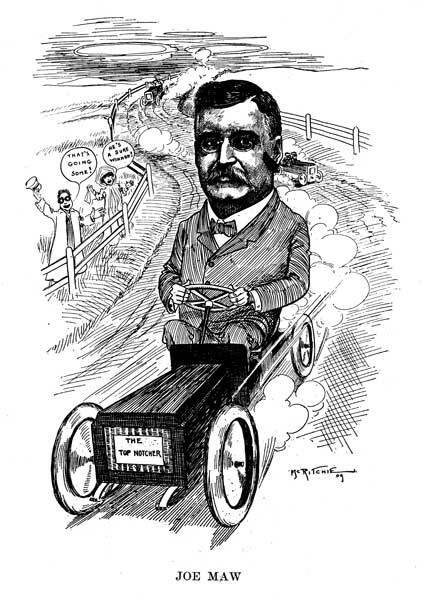 When automobiles began to replace carriages for personal transportation, he became one of the city’s first car dealers. (Maw’s garage still exists in the Exchange District.) 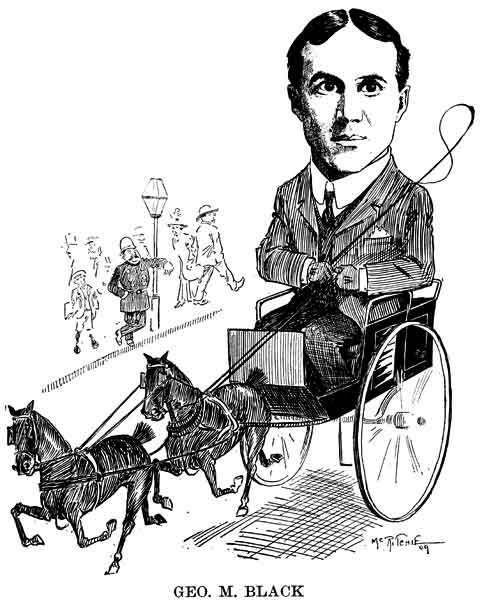 A founding member of the Winnipeg Automobile Club—parent to today’s CAA Manitoba—he won the Winnipeg Industrial Exposition’s five mile open road race in 1905. Ill health forced his retirement in 1913 and he died three years later in Los Angeles, California. Born at St. Wenceslas, Quebec on 4 November 1860, he attended the public school at Beauharnois then studied at St. Mary’s College in Montreal. He came to Winnipeg in 1882 and began working for a merchant, becoming a partner in 1892. The firm, which sold wholesale wine, liquors and cigars, was incorporated in 1903 under the name of Richard-Beliveau Company, and Beliveau eventually became its President, Manager, and controlling interest. He owned the Fashion Craft mens clothier and was Vice-President of Fashion Craft Manufacturing Company of Montreal. He also owned a considerable amount of farm land and city holdings around Winnipeg. He was a founding member of the Carleton Club, which catered primarily to Conservatives. A devout Roman Catholic, he was a member of the Catholic Order of Foresters, the St. Jean Baptiste Society, and L’Alliance Nationale. Like a lot of other men at his social station, he was an enthusiastic duck hunter, as shown by his caricature in Manitobans As We See ‘Em. In 1918, he served a term as Mayor of St. Boniface. He died on 14 April 1938.